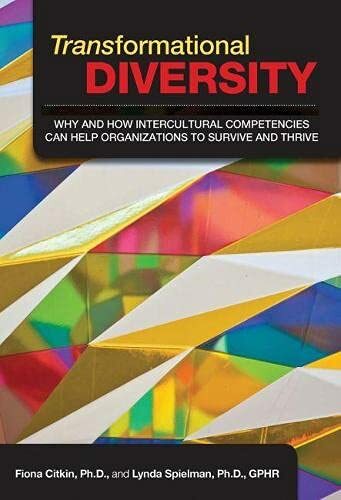 Both a strategy and an implementation road map of a new brand of diversity, this book focuses on developing a workplace culture that is inclusive of all employee populations and making an organization globally prepared. It seeks to fix stagnating “domestic” diversity and to revise current diversity programs through a strong infusion of cross-cultural perspective with intercultural business competencies training. This practical guide helps Human Resources (HR) leaders reenergize or revisit their work in light of pressures from increasingly diverse workforce populations, tough economic times, and the need to develop globally minded corporate cultures. Fiona Citkin is the managing director of Expert MS Inc., an intercultural consulting company with clients that include Bayer, Colgate Palmolive, Dewberry, DuPont, and Estee Lauder. She lives in Warren, New Jersey. Lynda Spielman is the director of diversity and inclusion at Expert MS Inc. She is also an adjunct assistant professor in intercultural education at New York University and in international human resources at the New York Institute of Technology. She lives in Flushing, New York.